What are the Hashtags we are using in MM and Why? 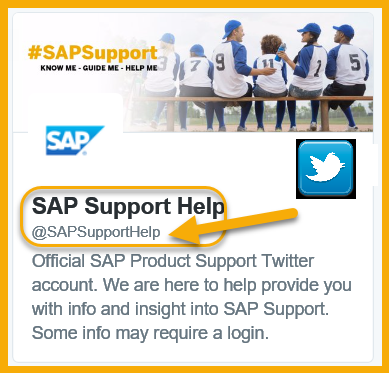 This is a simple guide about Hashtags in our Official Social Media Channel SAP Product Support, @SAPSupportHelp on MM component. We would like to show you what are those hashtags & why we are using them. First thing that you should know is that we have a simple list of Hashtags for MM. These Hashtags allow us to know latest KBA´s & Relevant documentation refered to MM area. By using them, you can create a simple list and in this way you won’t lose the lastest updates on your specific area (EQ) Easy&Quick. Currently, these are our Hashtags on MM area. Sometimes, they could be adapted to new requeriments therefore don’t forget to check the updated Hashtags used at @SAPSupportHelp list. Moreover, the rule to get the hashtag is quite simple: #SAP+component or #Name of the Program/Service. Hope this helps you to find the information you need about SAP Product Support at any time.